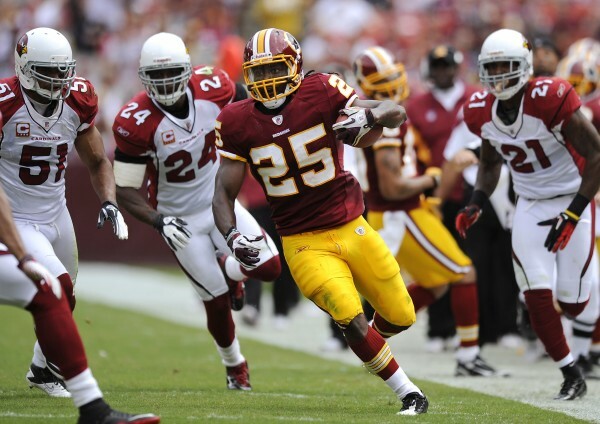 This weekend when the Washington Redskins host the Arizona Cardinals it will be the 120th time the two have played. The last time these two teams met the Redskins won on a late pass by Jason Campbell to Santana Moss, nearly three years ago. Much has changed on both teams since then. The Redskins only have a hand-full of players left from that 2008 team, and the Cardinals no longer have Anquan Boldin or Kurt Warner. Both teams had tough years last season as well finishing in last place in their respective divisions but have reasons to believe the future is bright and both teams started the 2011 season off with a win. Redskins vs Cardinals should be a game worth watching. The Cardinals faced a rookie led Carolina Panthers team who threw on their secondary for much of the game as Arizona game-planned to stop the run. Kevin Kolb threw for over 300 yards and four touchdowns in his debut for the Cardinals. On the other hand, the Redskins snapped their six-game losing streak to the New York Giants in week 1 with a win, Rex Grossman threw for over 300 yards and two touchdowns and looked like a seasoned veteran in what is his third year in the Shanahan system. Tim Hightower will be playing the team that traded him away for backup defensive lineman Vonnie Holliday and a conditional draft pick and looks to show them they made a mistake. With the number of things Hightower can tell the Redskins players and coaching staff and the energy he is sure to bring to the field, I look for the Redskins to look to expose weaknesses and continue with their commitment to running the ball more. There should be some nice match-ups in this game as DeAngelo Hall will probably line up most of the game in front of Larry Fitzgerald and Santana Moss will more than likely line up against Patrick Peterson for most of the game. Look for Hall to get some opportunities at his first interception of the season as I believe that Kolb will try to force the ball to his side on multiple occasions. The key to this game remains the same as it did for the Redskins in week 1, win the battle in the trenches. The offensive line needs to continue to improve, and the defense needs to pressure Kevin Kolb into making mistakes. I expect field position to play a factor in this game as well and both teams have good returners.